I would like to thank the Winlink people in allowing me to be a sysop. As you may know, there is no Winlink station in the Philippines for some time now. 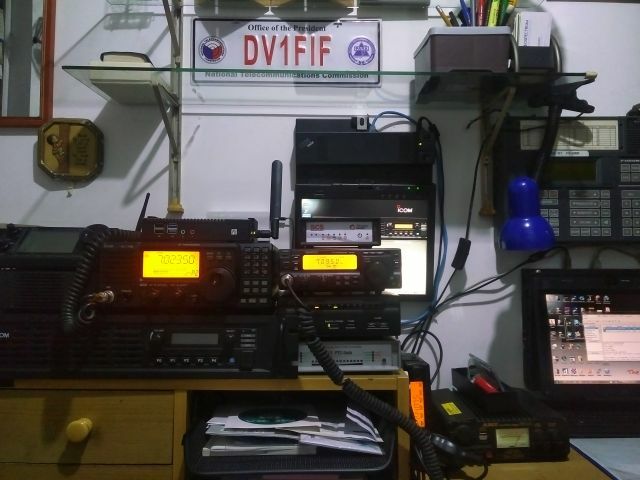 Being a disaster prone country it is very important to have an HF data station here. I started a robust packet station, as i have a couple of the SCS Tracker TNC for testing. Pactor 3/4 mode is coming up soon using the tri-mode board from KB6BT, a very good old mentor of mine. I am a bit familiar in operating the SCS modems due to my work for a public coastal station here in Manila. The station is on 40M, uses an IC-718, a PTC2ex on RP mode, a 30amp Alinco PS, and a linear loaded 1/2 wave inverted V dipole. I also plan to operate on 30M and use an M710, AT-140 and a 23ft Shakespeare whip soon.